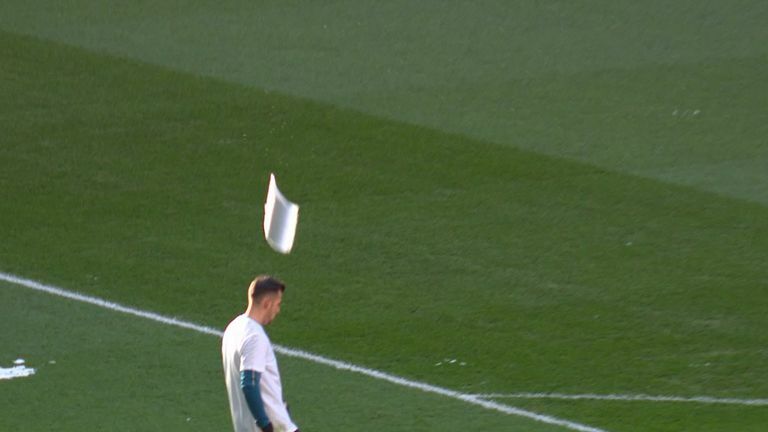 Ice falling from the Wembley arch caused issues during Tottenham’s clash with Newcastle on Saturday, narrowly missing Martin Dubravka. With freezing temperatures overnight, there was concern for the lunchtime Premier League match, with clumps of ice seen falling onto the pitch from the famous arch over the national stadium. Sky Sports’ cameras captured Newcastle goalkeeper Dubravka experiencing a near miss, and there were reports during the game that Tottenham’s Kieran Trippier also narrowly avoided being hit. A massive bit of snow/ice has just fallen from the Wembley arch. Kieran Trippier jumped about six foot backwards as it smashed on the turf in front of him.